There seems to be some misunderstandings of the Silk Road from the western people. 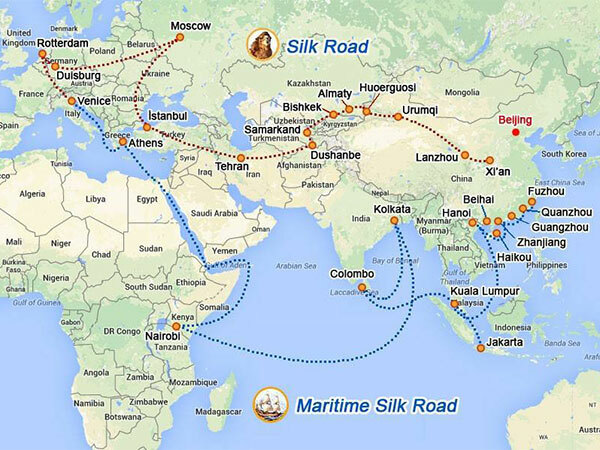 They thought there was only a single route could be taken and silk was the only commodity that was traded in ancient Silk Road. However, the fact is not like this. Silk Road in Central Asia went across various branches and passed through various oasis settlements. The routes all started from the city Chang’an (today’s Xian), then Gansu corridor, reached Dunhuang on the edge of the Taklimakan. The northern route then passed through Yumenguan and crossed the neck of the Gobi desert to Kumul, before following the Tianshan Mountains round the northern fringes of the Taklimakan. It passed through the major oases of Turpan and Kashgar. The southern route branched off at Dunhuang, passing through the Yangguan Pass and skirting the southern edges of the desert, via Hetian (Khotan), finally turning north again to meet the other route at Kashgar. Numerous other routes were also used to a lesser extent; one branched off from the southern route and headed through the Eastern end of the Taklimakan to the city of Loulan, before joining the Northern route at Korla (in Xinjiang). Kashgar became the new crossroads of Asia; from here the routes again divided. Silk Was the Only Commodity? Apart from the silk, many other commodities were also traded in the Silk Road, differed from ivory and gold to exotic plants and animals. It’s well-known that silk was the most outstanding commodity that traded in Silk Road for the western people. Also, it’s commonly known that silk had been first encountered and realized by extremely unsophisticated Romans in 53 B.C. The Romans adopted samples of the silk from Parthian prisoners who came from a mysterious tribe in the east and was refer to as the silk people. Hence, silk became very popular in Rome soon, because of its soft texture and attractiveness. The Parthians soon realized that trading silk could help them make lots of money, and then they delivered trade missions towards the east. Also, the Romans delivered their own agents out to explore the route, and tried to obtain silk at a lower price than that traded by the Parthians. For this reason, the trade route to the East was seen by the Romans as a route for silk rather than the other commodities that were traded. However, in fact, despite the silk, there were a lot of some other precious commodities exchanged in the Silk Road. Precious metals, stones, glass and ivory, which were not manufactured in China until the fifth century, were traded in Silk Road. 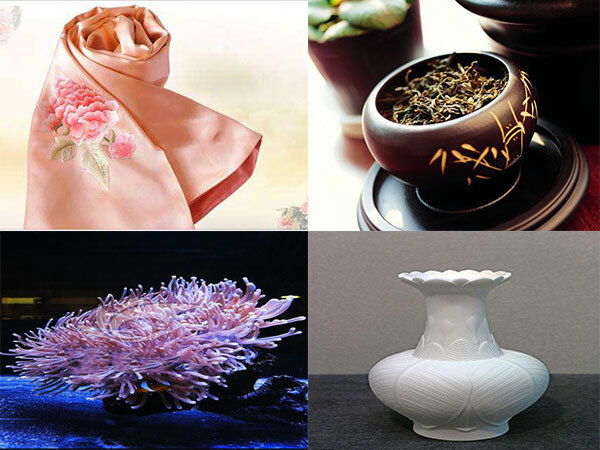 In the opposite direction, lacquer, bronze objects, jade, ceramics and furs were traded. The majority of these commodities were exchanged for others along the way, and all these goods often changed hands several times.